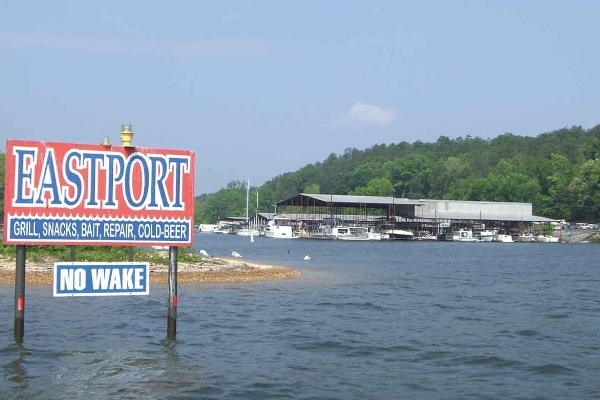 Eastport Marina & Resort is a full-service marina located on Pickwick Lake and the Tennessee River at mile marker 225 where Bear Creek and the Tennessee River join at the Mississippi-Alabama state line in Iuka, Mississippi. 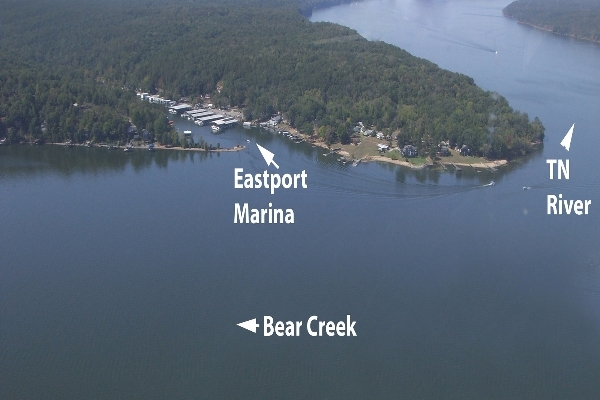 Eastport Marina is a 50+ year old family oriented marina, cabin rental, boat rental, a vacation retreat with all services for family fun and vacation. -You must be 21 years of age to rent a boat. Driver's License Required. -A day is from 8:30 AM until 4:30. Rent a boat for 2 days and you can keep it overnight. 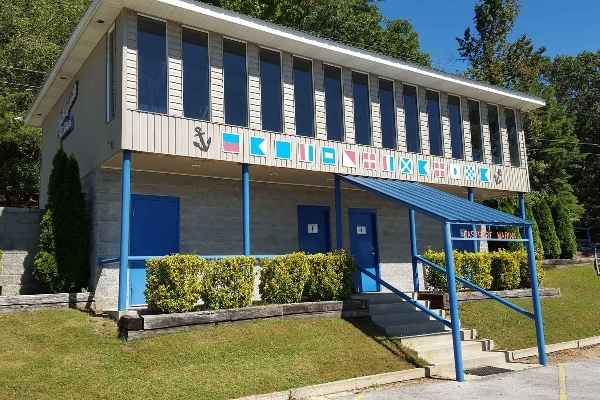 -A rental and safety agreement is signed and the full amount of the boat rental plus tax and the security deposit is collected before departing. -Holiday bookings must be paid in full - min. 3 night stay. 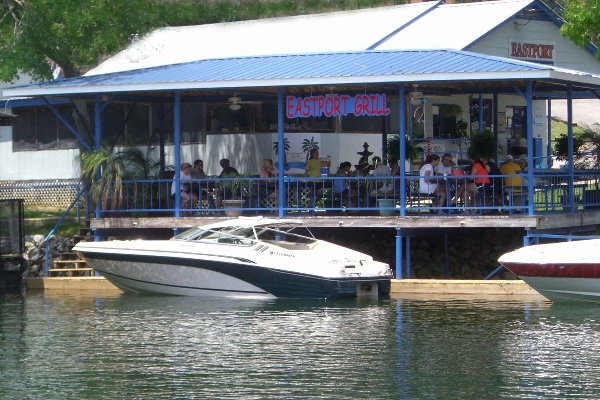 -BOAT DEPOSITS ARE PAID AT TIME OF BOOKING AND REFUNDED AFTER RENTAL RETURN. -How far can I go in the boat, do you have boundaries? "YES" WATERFALL TO THE NORTH, WATERLOO TO THE SOUTH. This is where you're covered for mechanical problems, you go outside these areas and break down, we will repair it or tow you, but at your expense. Waterfront cabin with 2 bedrooms and 1 bathroom. Both bedrooms have 2 twin beds, also has 1 roll-a-way bed. TV in each bedroom and main room. Central heat/air. Full kitchen with coffee maker, microwave, stove, refrig. 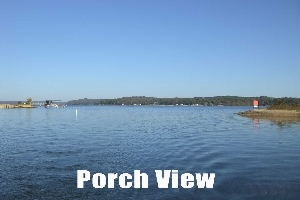 Waterfront large 3 bedroom 2 full bath cabin with boat slip. 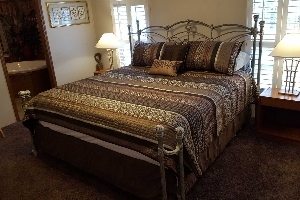 -Master Bedroom has King Bed and the other 2 bedrooms have 2 twin beds. Also couch is a sofa-bed. TV in each bed room and main room. 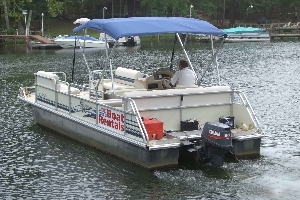 Dual basic pontoon boat with 50 hp Yamaha 4 Stroke motor. -MAX. Boat Occupant Load:14 Persons or 1976 lbs. The more people you have the slower the boat will go. Tri-Toon Pontoon with NEW 200 hp Suzuki 4 -Stroke motor. 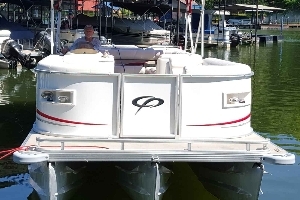 This pontoon has easy-hook tube mount. 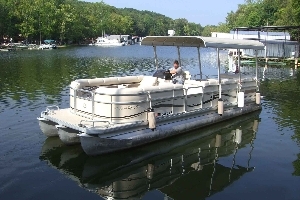 Tri-Toon pontoon boat with 150 hp Yamaha 4-Stroke motor and Luxury seating. Tri-Toon pontoon with New 200hp Yamaha 4-Stroke motor. 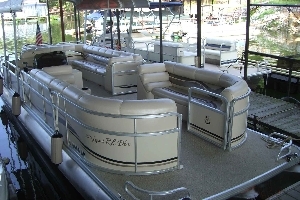 This pontoon has easy-hook ski and tube mount. -AFTER 7 DAYS BEFORE YOUR RENTAL DATE. YOU WILL BE CHARGED YOUR DEPOSIT AMOUNT. IF YOU DO NOT CONTACT US AT ALL, SEE NO SHOW TERMS BELOW. -RAIN OUT (boats) – WE WILL MOVE YOU TO ANOTHER AVAILABLE DATE. -RAIN OUT (cabins) - No refund - If available, move you to another date. -HOLIDAYS must be paid in full and no refunds for rain outs. We will offer to move you to another date for rain outs only. -NO SHOW (ALL) - If you do not show up for your reservation, your credit card will automatically be charge for your balance. Please contact us immediately if you know you can't make it, this may give us time to re-rent. If we can re-rent, you will receive a refund minus $50 re-rent fees. -You must be 21 to rent boats or cabins. 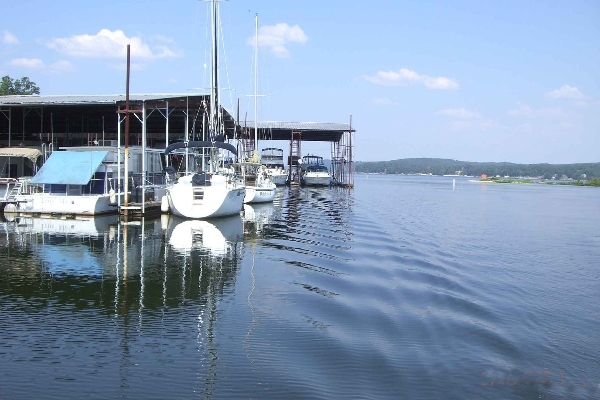 -All persons born after June 30th, 1980 must successfully complete a boating education course approved by the Mississippi Wildlife Fisheries & Parks to legally operate a vessel in the state of Mississippi. Please review our checklist- before renting you will be ask to sign-off on these safety rules Rental_Boat_Safety_Checklist.